University of Chicago Press, 9780226528434, 604pp. The Roman statesman and philosopher Seneca (4 BCE–65 CE) recorded his moral philosophy and reflections on life as a highly original kind of correspondence. 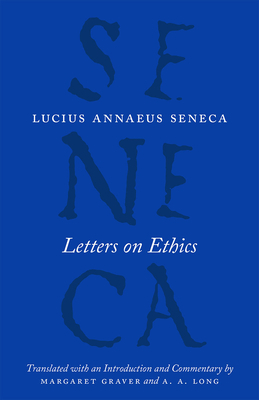 Letters on Ethics includes vivid descriptions of town and country life in Nero’s Italy, discussions of poetry and oratory, and philosophical training for Seneca’s friend Lucilius. This volume, the first complete English translation in nearly a century, makes the Letters more accessible than ever before. Written as much for a general audience as for Lucilius, these engaging letters offer advice on how to deal with everything from nosy neighbors to sickness, pain, and death. Seneca uses the informal format of the letter to present the central ideas of Stoicism, for centuries the most influential philosophical system in the Mediterranean world. His lively and at times humorous expositions have made the Letters his most popular work and an enduring classic. Including an introduction and explanatory notes by Margaret Graver and A. A. Long, this authoritative edition will captivate a new generation of readers. Margaret Graver is the Aaron Lawrence Professor of Classics at Dartmouth College. A. A. Long is Chancellor’s Professor Emeritus of Classics at the University of California, Berkeley. "Graver and Long successfully manage to draw the reader in. . . . An accurate, readable and well-annotated translation of Seneca's letters."